After all, there’s no better way to make the most out of your life than to adopt some positive thinking, rather than waste time in being and feeling negative. The art of acquiring positive energy is to start thinking positive thoughts. If you are a naturally negative person, you may find this challenging initially. That is why it is imperative you make a conscious effort to correct yourself whenever you have negative thoughts & if helpful, to seek the support of those around you to give you accountability. If you struggle, start with seeking the potential for positivity, you will find that the next progression is to discover the positive thoughts that go with it. Always remember what you have to be grateful for in life & spend time enjoying the little things. By celebrating all the positives in your life you will gradually become happier and you will be building resilience for when times may be more challenging. Smiling on purpose has been scientifically proven to lift your spirits and help you to feel better. Even if you are not happy, endorphins will trick your body into thinking that you are! The world doesn’t owe you anything, being alive is a blessing. Being as healthy as possible, having that amazing career, creating a beautiful family, travelling to all the wonderful places in the world, doing the things that you love, thats all on you. When you thrive on the pressure of creating your happiness, you will make more progress and will stop dwelling on things when the going gets tough. You will become more resourceful & will simply look for another way to get there. What actually makes you happy? 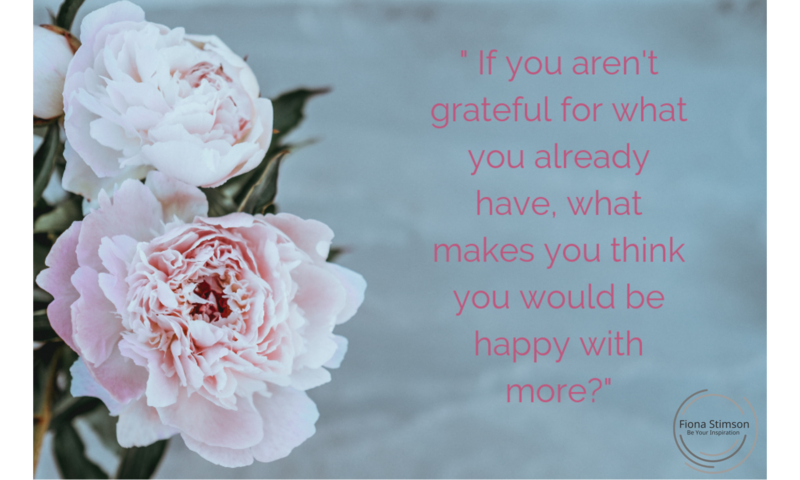 Visiting your family, taking your dog for a walk, watching the sunset, listening to your favourite music, watching a film…do more of what makes you happy! It’s absolutely ok to be you! Doing what you do best, enjoying being comfortable in your own skin. Make yourself a priority and really focus on being true to yourself rather than being bothered about what other people may think. You attract what you want in life, so its important to manifest it in your mind, body & actions. Being your authentic self is a huge step forward, you will start attracting people that love you for who you are and who are content with just being in your presence. Ask yourself- do you want to share your time with people that you have to sacrifice your well being to make them happy? Try new things, learning is always a good way to spend time. Practice noticing new things, it will help you become more focused on being in the NOW (see my article on being in the NOW State). So over the next few weeks, notice what is around you, notice more about people you meet and really take it all in. Set yourself some goals around this to progress & get someone else involved as your accountability partner to really expedite your progress. Take some time to go over the above and consider what you could do now to make lasting change. In post #4 on Why Attitude Matters, we will look at our personal energy.